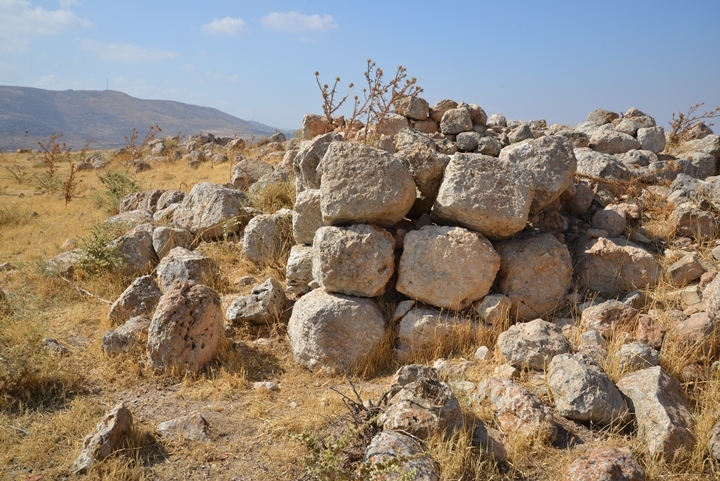 Ruins of a multi period village, from the Early Bronze to the Ottoman period, on the side of Allon road in Samaria. 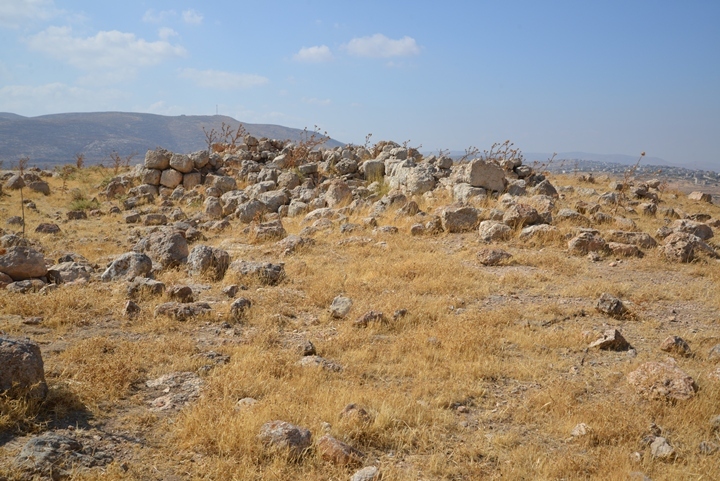 Ruins of a multi-period village along the Allon road in the eastern Samaria area, adjacent to the cross roads of ancient roads. 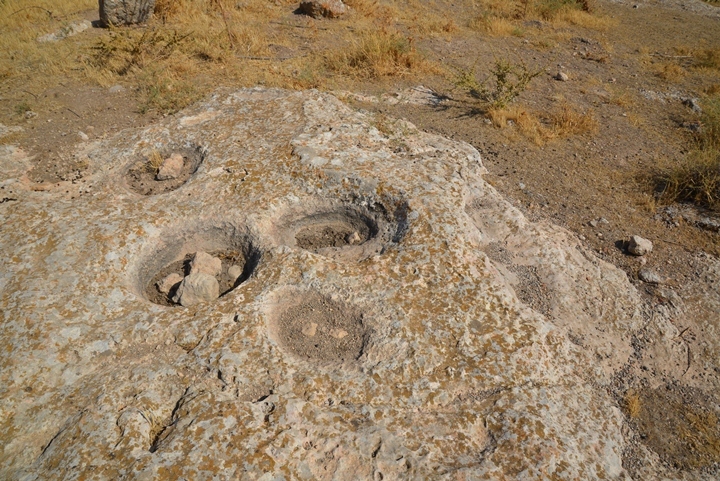 The 50 Dunam (5 hectares) site was settled almost continuously from the Early Bronze II period (30th century BC) until the Byzantine period (7th century AD). Biblical scholars suggest that it was a town in Ephraim named Giv'it or Giv'on. A map of the area is shown here, indicating the major points of interest. 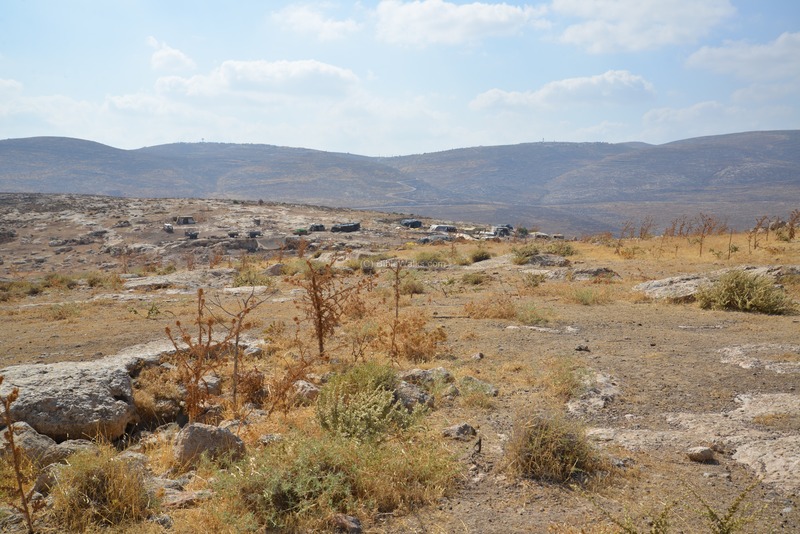 The ruins cover 3 hills, and are easily accessed by a road that ascends from Allon road to Mevo Shiloh. Point on the yellow squares to navigate to the selected place within this page. The site was first settled during this period, as dated by the survey team. 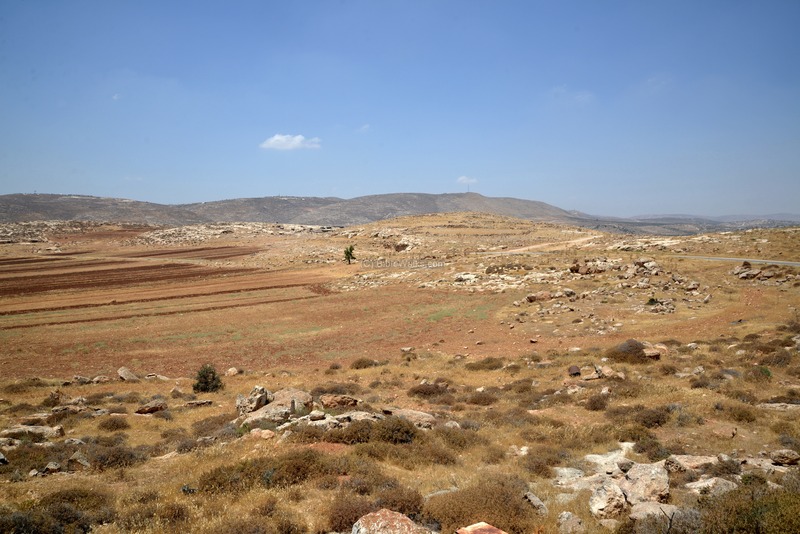 During this period the region witnessed a large settlement wave, when new cities were founded in the high mountain area of Judea, Ephraim and Benjamin - such as Jerusalem, Shechem, Tirzah, Hebron and Bethel. 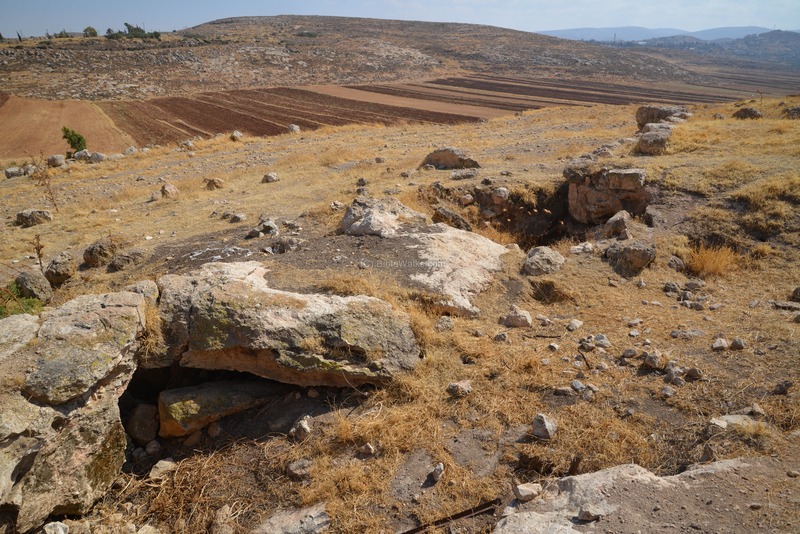 This possibly expanded the settlement along the eastern fringes of Samaria, where Kh. Jibeit is located. In the Late Bronze period the settlements in the region of the high mountain deteriorated. Many of the small cities and towns were deserted, and the region was under Egyptian control since the great battle in Megiddo (1468 BC). The strongest city in the area of Ephraim and Manasseh was Shechem, which expanded its control over the entire area between Jerusalem in the south and Megiddo in the north. In Kh. Jibeit no ceramics were identified of this period, so it seems that it was deserted at these times. 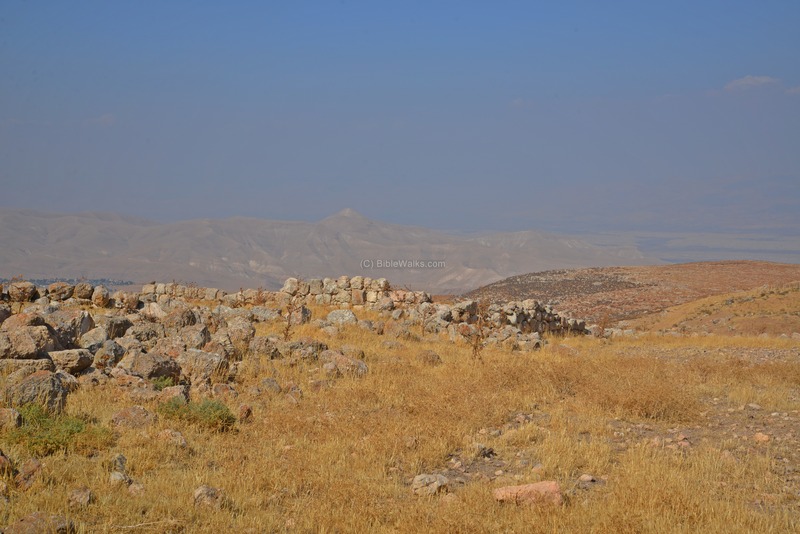 During this period the region of the high mountain area witnessed a new wave of settlement, following the conquest of the Land by the Israelites. Dozens of villages were established. According to many scholars, the core of the Israelites settled in the area of Manasseh and Ephraim, and only later expanded to the south (Benjamin and Judea). Therefore, the capital city was selected to be in Ephraim, and only at the end of this period it moved to Jerusalem. Shiloh, located in the region of Ephraim, became the religious capital of Israel: it was the assembly place for the people of Israel, a center of worship, and housed the Ark of Covenant. Kh. Jibeit was one of the largest towns in Ephraim. Scholars attempted to identify the village based on the Biblical texts. "Joab also and Abishai pursued after Abner: and the sun went down when they were come to the hill of Ammah, that lieth before Giah by the way of the wilderness of Gibeon". 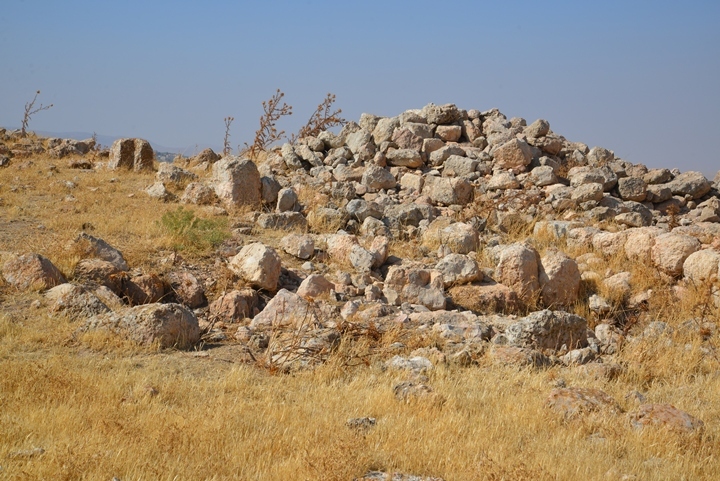 Another suggestion by Yoel Elizur was that the "hill of Ammah" (In Hebrew" Giv'at Ammah"), also mentioned in this text, was the name of the town, spelled in another form: Giv'it, or small hill. He referred to Medieval Samaritan texts which named a place called Giv'it, and based his theory on other Biblical texts. A Biblical map is below, with a red marker indicating the location of the town, 7km south east of Shiloh. 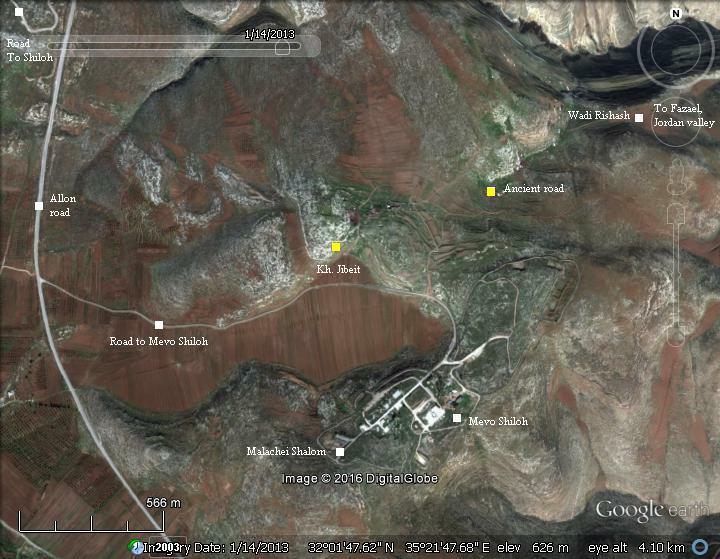 Another Giv'on (Gibeon) is also located in Benjamin, north of Jerusalem, as indicated in the map below. Duplicate names may have been given at that time, as the two towns were located in two different tribe regions (Ephraim and Benjamin). After the unified Kingdom split (928 BC), the town became part of the Northern Kingdom. This was one of the two major periods of settlement found in Kh. Jibeit. In 732 BC was an intrusion to the North of Israel by the Assyrian King Tiglath-Pileser III, who annexed the area (as per 2 Kings 15: 29): "In the days of Pekah king of Israel came Tiglathpileser king of Assyria, and took ... Galilee...and carried them captive to Assyria". This intrusion affected the north of the Kingdom, but the area of Samaria was spared since the Assyrians stopped at Megiddo then continued along the shore to Egypt. The Egyptians encouraged the people in the occupied territories of the Assyrians to revolt following the death of Tiglath-Pileser. 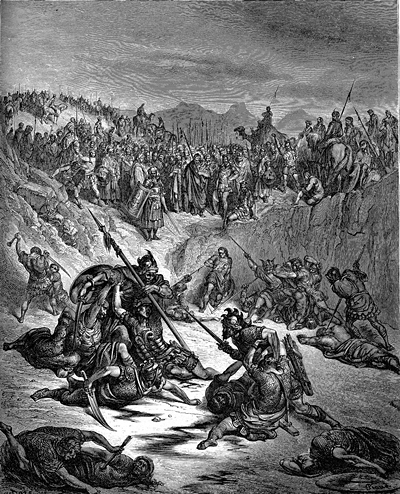 Hoshea, King of Northern Israel, joined this mutiny, but made a fatal mistake. This time the Assyrians crushed the remaining territories of the Northern Kingdom. The intrusions of Shalmaneser V and Sargon II in 724-712 ended the Northern Kingdom (2 Kings 17: 5-6): "Then the king of Assyria came up throughout all the land, and went up to Samaria, and besieged it three years. In the ninth year of Hoshea the king of Assyria took Samaria, and carried Israel away into Assyria, and placed them in Halah and in Habor by the river of Gozan, and in the cities of the Medes". 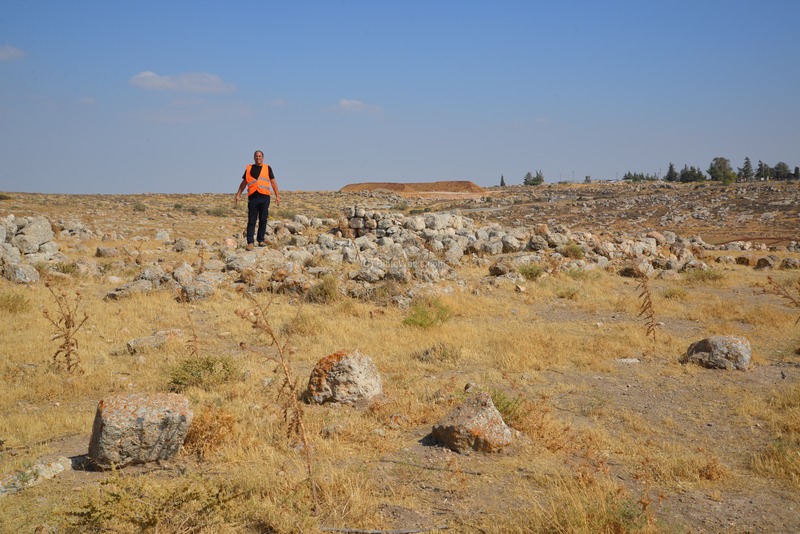 The villages in Samaria were destroyed, probably including this town. The Southern Kingdom of Judea managed to survive this onslaught by teaming up with the Assyrians, but not for long. After the death of the Assyrian King Sargon II (722 – 705BC), King Hezekiah son of Ahaz (reigned 715-686BC) - mutinied against the Assyrians. He joined other states in the area who attempted to free themselves from the Assyrian conquest. Anticipating the coming Assyrian intrusion, Hezekiah fortified Jerusalem and the major cities. 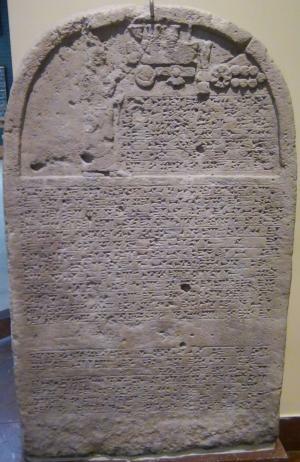 According to an Assyrian stele found in the ruins of the royal palace of Nineveh, Sennacherib conquered 46 cities in Judea. Jerusalem was spared from destruction and the Assyrians retreated; It fell only 114 years later. 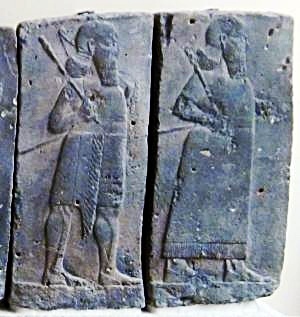 However, Judea continued to pay heavy taxes to the Assyrian conquerors. "He is come to Aiath, he is passed to Migron; at Michmash he hath laid up his carriages: They are gone over the passage: they have taken up their lodging at Geba; Ramah is afraid; Gibeah of Saul is fled. Lift up thy voice, O daughter of Gallim: cause it to be heard unto Laish, O poor Anathoth. Madmenah is removed; the inhabitants of Gebim gather themselves to flee. As yet shall he remain at Nob that day: he shall shake his hand against the mount of the daughter of Zion, the hill of Jerusalem". 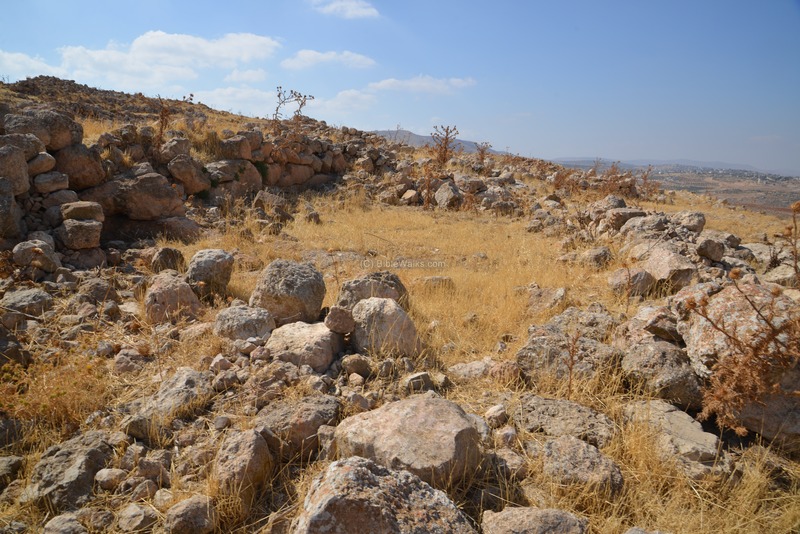 An ancient road from those times was found in the valley below Jibeit, which may have been used by the Assyrians. It is not known when the town was resettled. The survey identified findings of the Persian and Hellenistic periods. The area was under the Samaritans region until it was captured by the Hasmoneans during the mid 2nd century BC. The survey identified ceramics of the Early and Late Roman period. 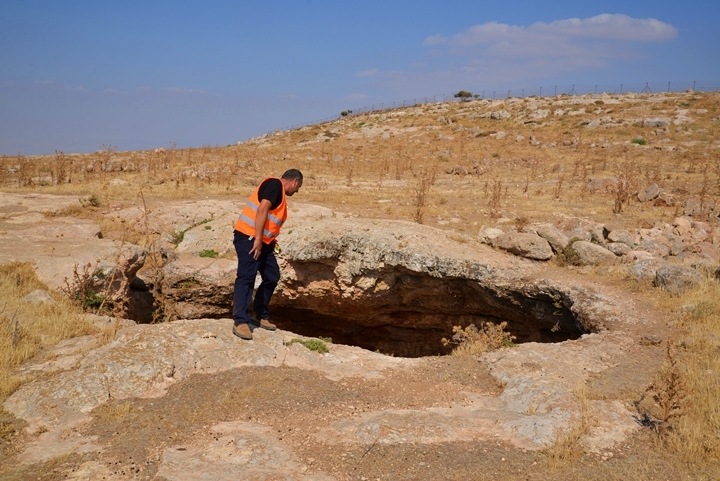 During the great revolt the Jewish residents dug underground chambers in order to prepare hiding places. The fate of the town during the revolt is not known. 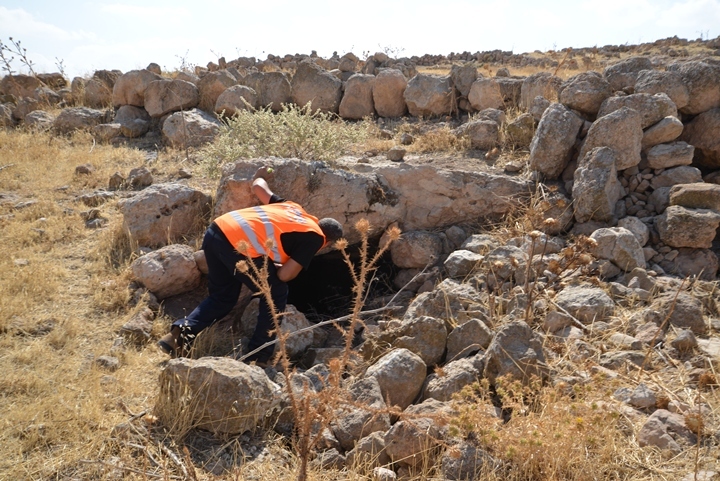 Hiding tunnels, connecting several chambers, were identified in Jibeit. 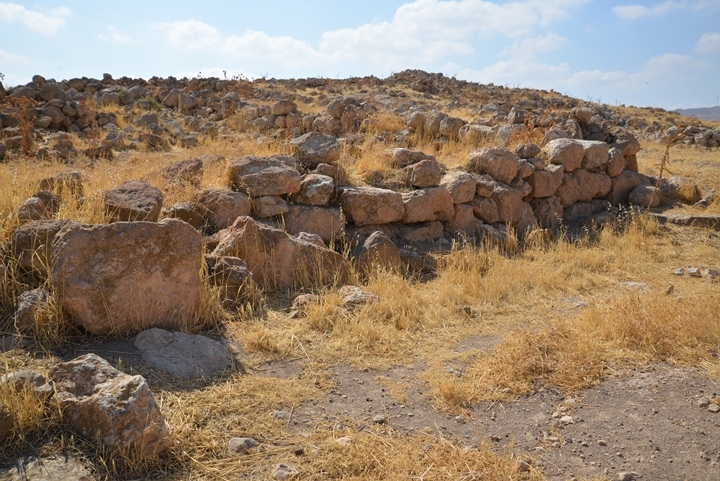 According to Z. Ilan and U. Dinur who explored the hiding complexes, they were cut during the Bar Kokhba revolt. The Major periods of settlement was in the Byzantine period, as well as the earlier Iron Age period II. Ruins of a large 5th century church was found on the western side of Kh. Jibeit. After the end of the Byzantine period the site was mostly abandoned. 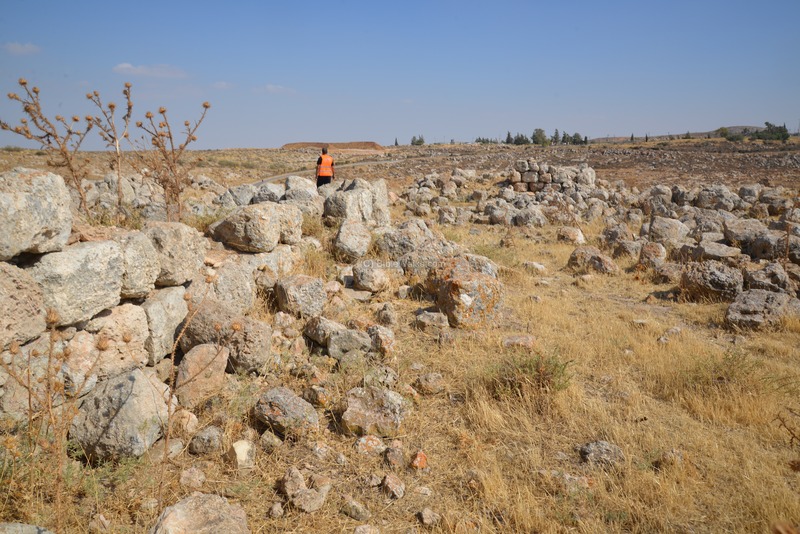 The surveyors identified some findings of the Umayyad, Crusader and Ayyubid, Mamluke and Early Ottoman periods. "Khurbet Jibeit: Foundations, cisterns, and rock-cut tombs, now blocked up ; drafted stones, with the rustic boss. The masonry is of moderate size". A section of their map appears here on the right. Notice the dashed line crossing from left to right just north of Kh. 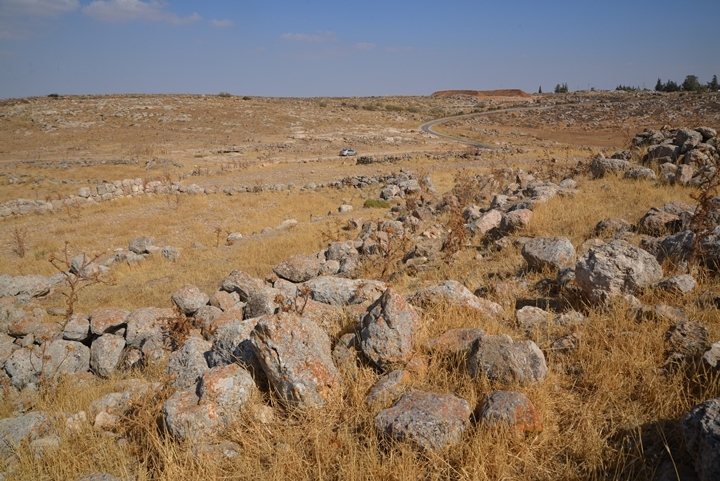 Jibeit - the route of an ancient road from the Jordan valley to the valley of Shiloh. The site was excavated by Zvi Ilan and Uri Dinur, who published their findings in 1987 and in Hadashot Arkheologiyot ESI 1984 (pp 43-44). They identified the site as a very large ruin, with structures, installations, burials and a fortification wall with towers. 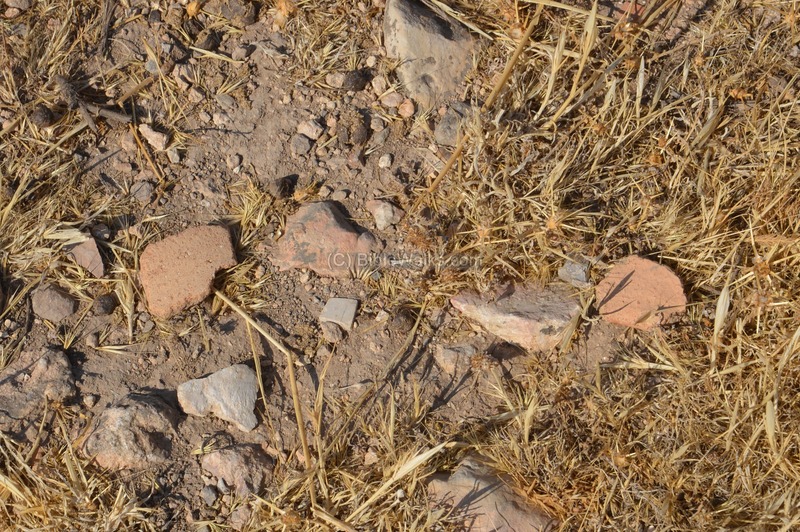 They also excavated a Byzantine church with a mosaic floor. An IDF army base, named "Mevo Shiloh", was constructed on the south east side of the site. It started as a Nahal settlement (a paramilitary IDF program) in 1976. In 1985 a tragedy occurred when a Hanukah candle caused a fire, which killed 8 soldiers sleeping in a caravan. In 2015 a new civilian outpost was built in the camp by Jewish settlers. It is named "Malachei Shalom" (Angels of Peace), in memory of Malachi Rosenfeld who was murdered by drive-by shooting near the nearby settlement of Shvut Rahel. Their temporary houses were then demolished by the authorities, but the young settlers pitched a tent on the south side of the base, destined to hold on to their outpost. A drone captured this view from the east side. The hill is covered with traces of houses, walls, streets, cisterns and caves. To the south is a road that connects Allon road to the army camp. Another view towards the north west is in the next aerial picture. 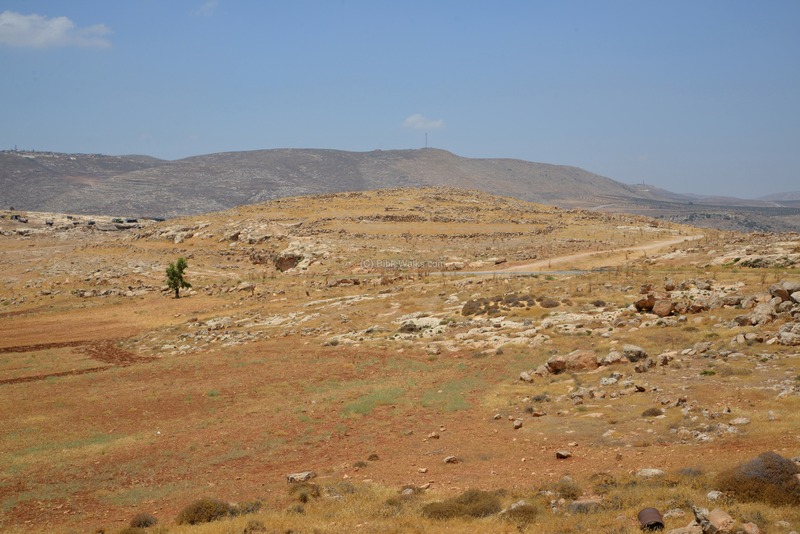 In the background are the hills of Samaria, leading to the valley of Shiloh. In the right side is the descent towards the Jordan valley. Below, a view towards the south. The road leads to the deserted army base ("Mevo Shiloh") and a new outpost ("Malachei Shalom"). Next, a view towards the eastern hill, where another section of the ancient town is located. On the right is the army base. In the far left background is the Jordan valley. The last aerial view is towards the north east. A dirt road leads down to the Jordan valley. Zooming into this view, an interesting structure is visible: a long road lined with stones on both sides. According to a study and article by Yoel Elizur, it was one of the two Israelite "Eastern roads" crossing the Samaria desert. 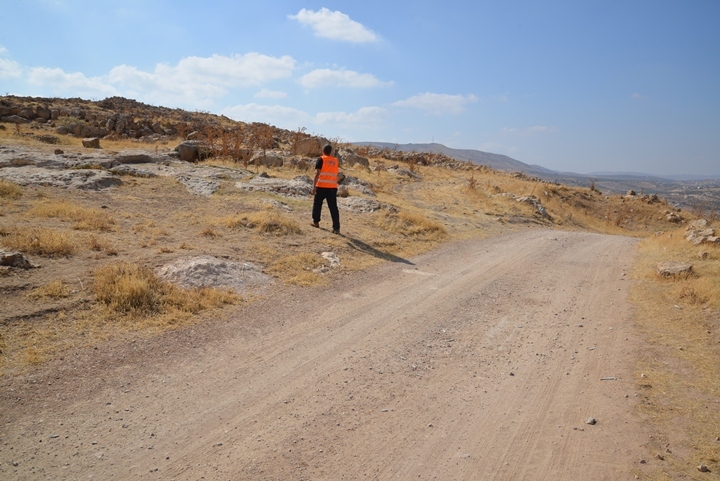 This desert road ascended from the Jordan river near Fazael, passed along the north side of Kh. Jibeit, ascended up to the hill on the west of Jibeit, then to the valley of Shiloh. A ground view from the south east side is seen here. The ruins of Kh. Jibeit are spread over three hills. Also notice the hills in the far background. 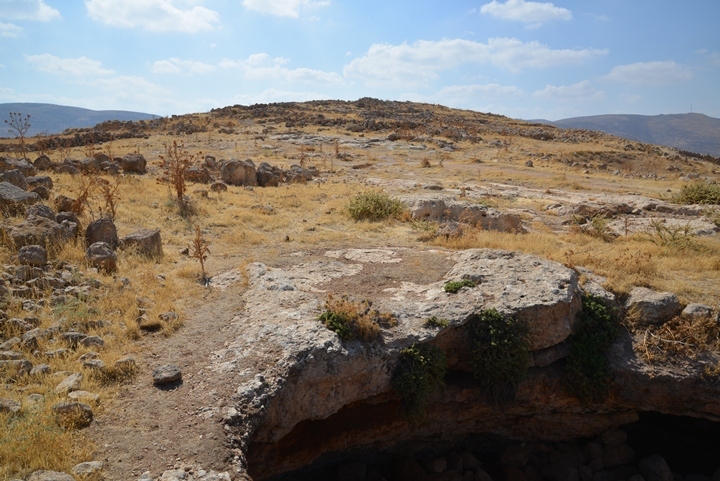 They are the eastern side of the Samaria heights. The descent to the Jordan valley starts from these hills. The ruins are visible across the three hills. Ofer, wearing the orange reflective jacket, walks up the central hill to explore the ruins. Sections of walls and houses are spread all over the hill. Ceramic fragments are scattered across the site, such as these. 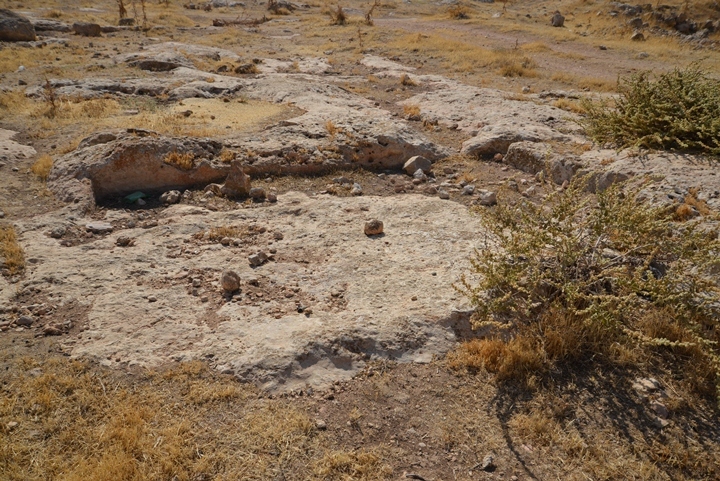 The ruins cover a large area of 50 dunams (5 hectares). Most of the houses are surrounded by walls, and contain caves and cisterns. The site was not yet excavated, but according to what lies out there, the potential of Kh. Jibeit for the study of ancient settlements in this area is indeed promising. On the western hill are modern structures of Bedouins. 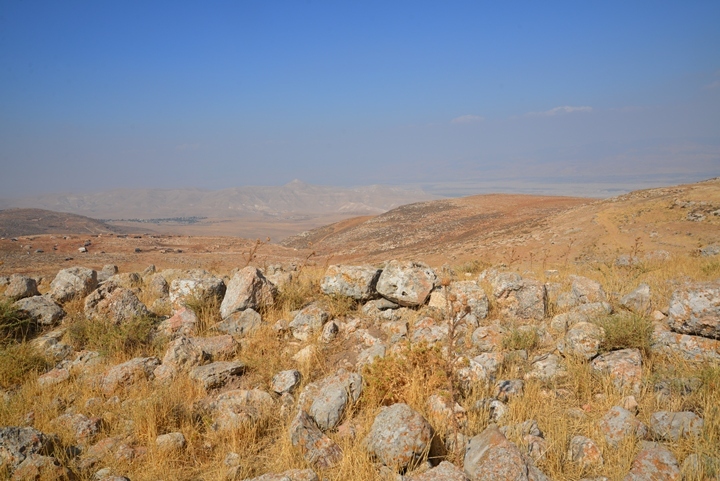 From the site are great views of the Samaria desert and the Jordan valley. The Hasmonean fortress of Sartaba, located on top of a pointed hill, is seen in the middle of the mountains overlooking the Jordan valley. 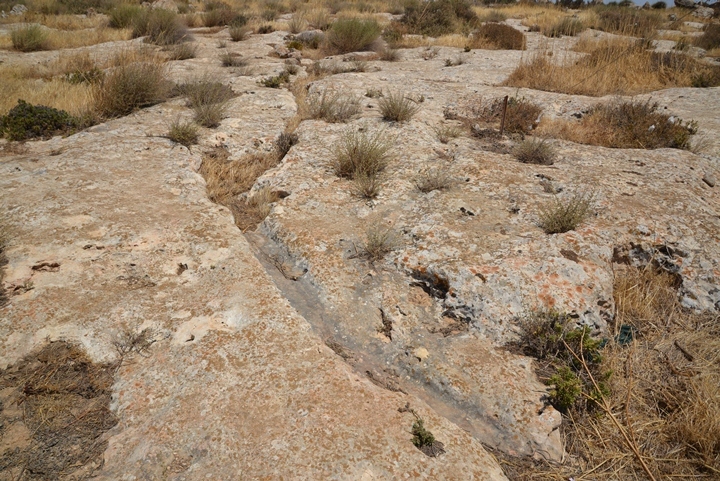 The following photo shows a view of the south side of the central hill. Many hewn caves are scattered on the hills. The standard design of the ancient houses in ancient sites in the desert areas included a central courtyard, rock-hewn cistern serving as the local water supply, and a cave which was used for both dwelling and storage. Between the ruins are traces of agriculture installations. Cup marks cut into the rock were used to grind various grains, as well as to hold jars upright. A pressing floor of a winepress complex was also spotted here. 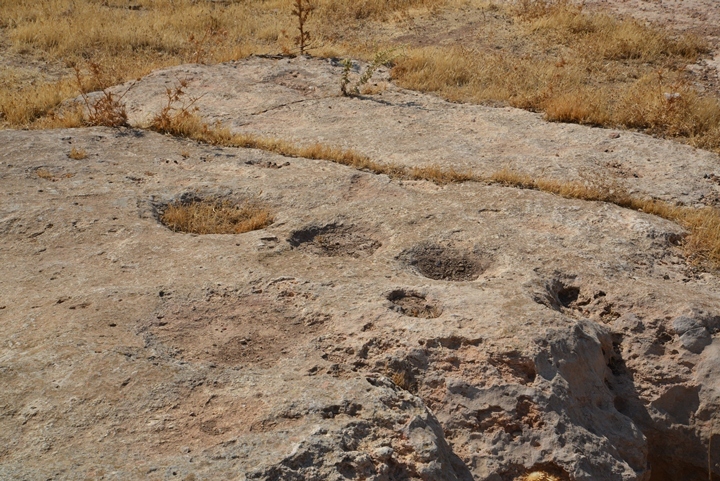 Nearby cup holes were also part of the winery complex. 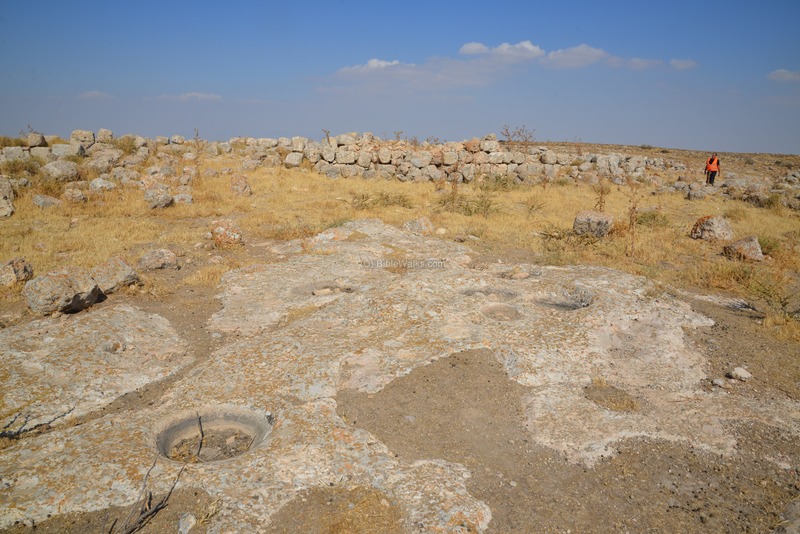 The archaeological survey identified 4 adjacent bell-shaped cisterns that were dated to the Iron Age, and used as an underground winery. 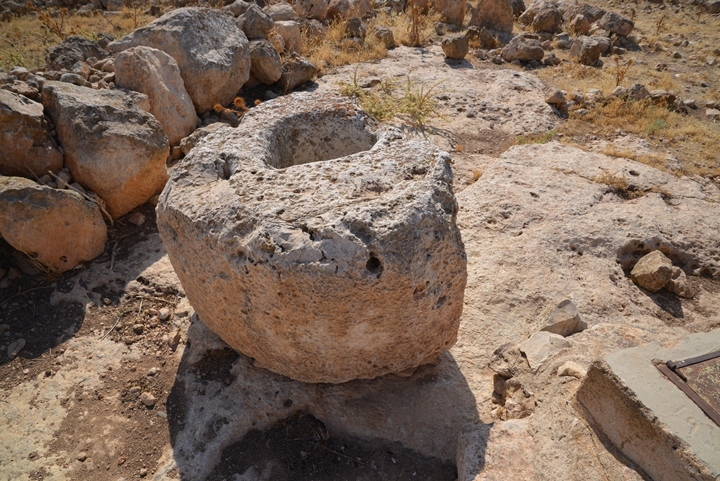 The purpose of these cisterns was to store the grape juice in a cold condition of the underground cavity. 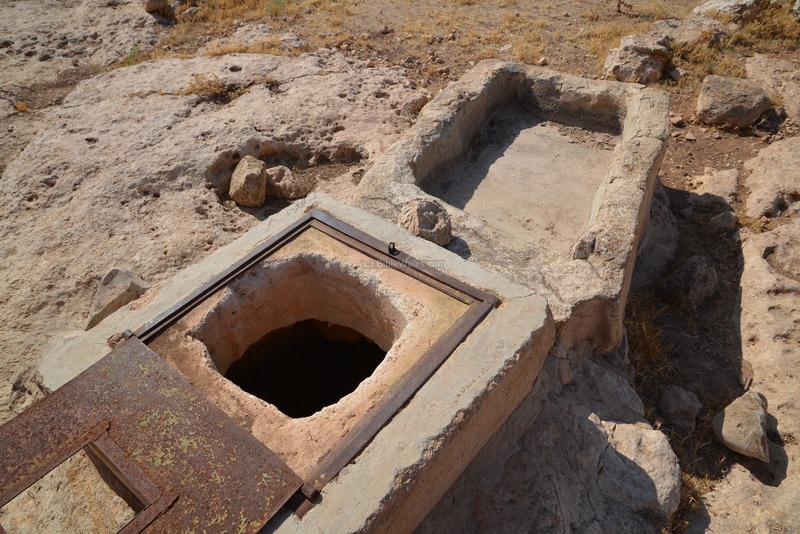 The top entrance of these cisterns is small, and had a niche that sealed the top side. Underground wine reservoirs, dated to the Iron Age, are also known from other places in Ephraim and Samaria. Examples include el-Jib (63 winery cisterns), Sheikh Issa (24 cisterns), Kh. Jama'in and Deir Dakleh. Some of these winery cisterns were later converted to water cisterns, columbarium, and in some cases (as here in Jibeit) into hiding places during the great revolt against the Romans. This desert area is dry, with only 200-300mm of rain per year. 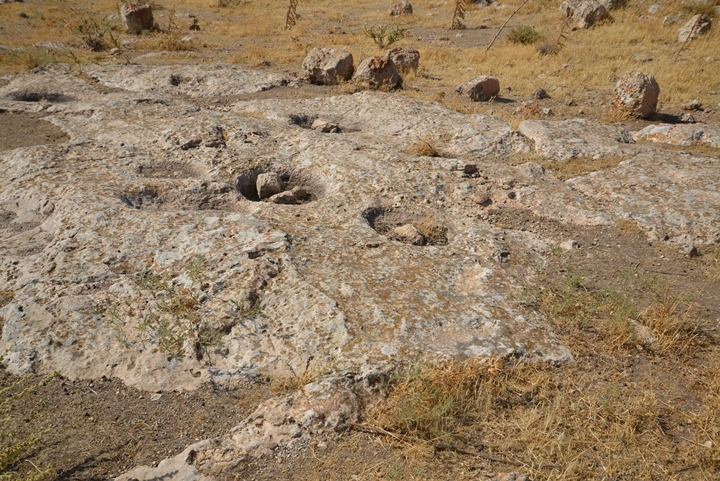 There are also few springs in the area, such as Ein-Rishash and Ein-Duma 1 KM north. So the residents depended on water reservoirs that collected the runoff rainwater during the winter, and stored the water during the rest of the year. Under most houses there was a private water cistern. Public reservoirs were also hewn into the rock in order to supply water to the herds and travelers. There are many cisterns in Kh. Jibeit. 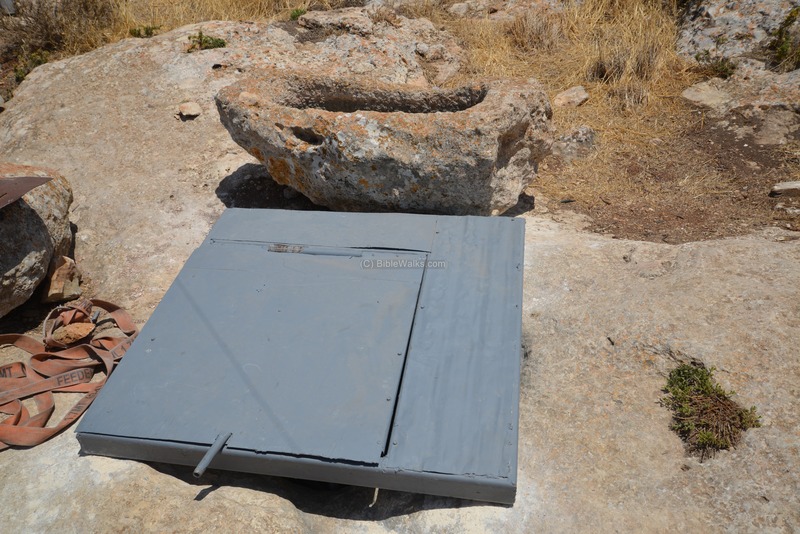 Here is one of the cisterns, with a cover that sealed the entrance and a water trough for the animals. Near the cistern stands the old stone cover of the cistern. 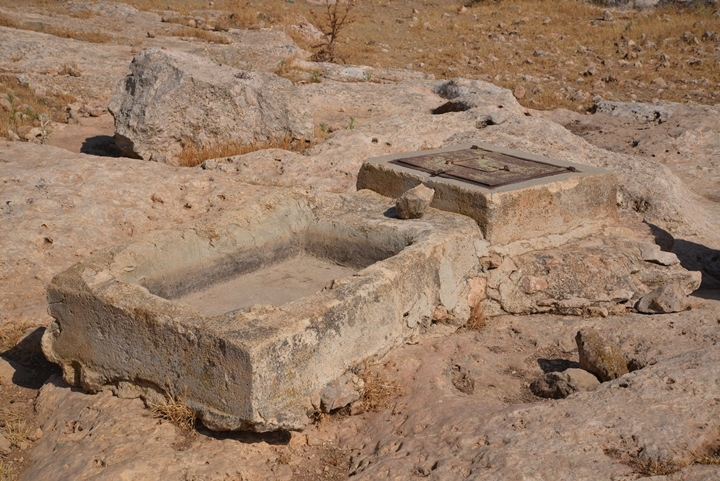 Another cistern, located on the eastern hill near the turn of the road, was converted to a modern pool and ritual miqveh. 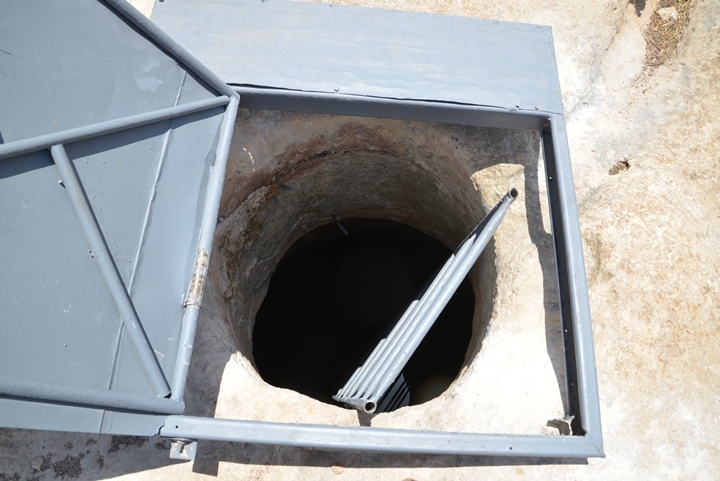 The lid opens up, and a ladder leads down into the pit. When we visited the place in July it was full of ice cold water. 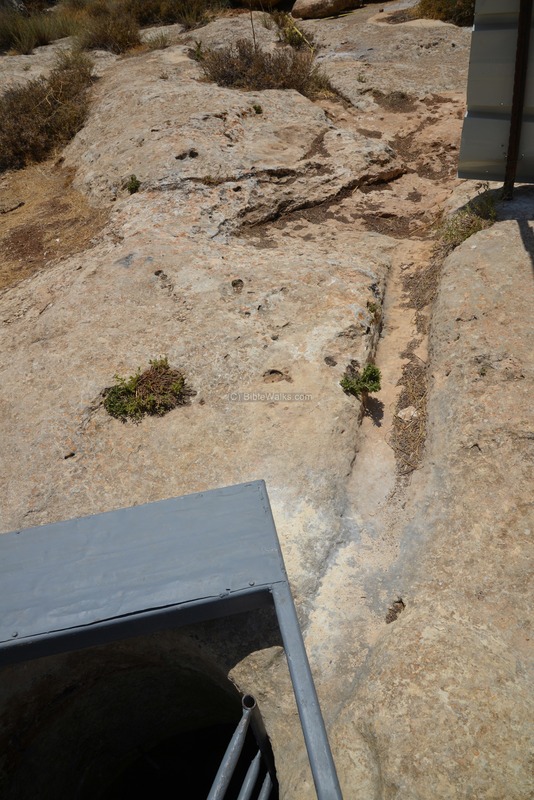 Water channels, cut into the rock, lead into the cistern, used to convey the runoff rain water into the pit. Kh. Jibeit - Arabic; meaning according to PEF: "The ruin of the hollow thing, or of the idol (an old Syrian word)". Giv'it - Hebrew name, as identified by scholars. Means: small hill.